Auto Welcome LED Door Projector Lights are the ideal puddle light replacement. Full color LED projection technology displays your vehicle’s logo on the ground’s surface when you open your vehicle’s door. Our Auto Welcome LED Door Projector Lights are only 12V, meaning no need for inverters or additional power supplies. 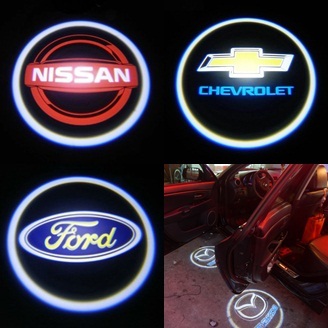 Auto Welcome LED Door Projector Lights are a modern take to the boring traditional puddle lights. 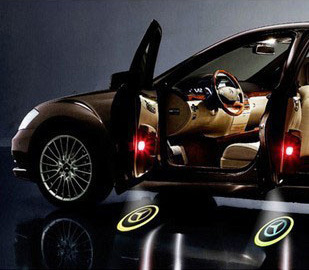 At night, Auto Welcome LED Door Projector Lights help you see where you are about to step onto when opening your car’s door. Contact us today to have Auto Welcome LED Door Projector Lights installed in your vehicle. This entry was posted in Blog and tagged auto news, automotive industry, car accessories, Car Door Lights, LED Lights, Oracle, original news, Truck Accessories, Truck Door Lights, Welcome Lights.